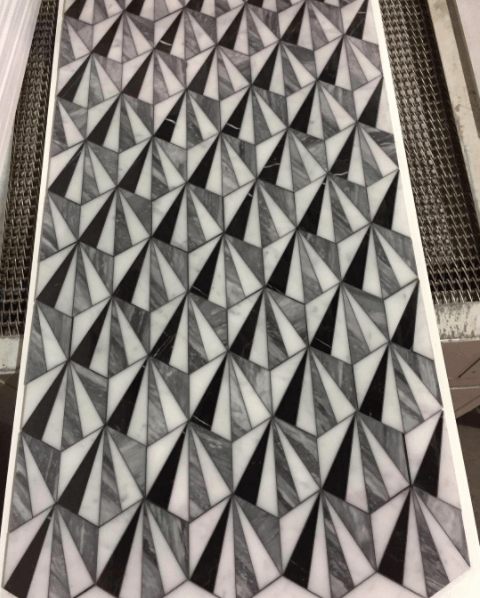 Waterjet cut decorative marble mosaics. Theree different marbles has been used. Some use areas: Backsplash areas, front desk background/desk area, shower floor/wall, submerged areas, steam rooms, art work on living room or hallway walls. Sell by square feet, comes by sheets. 0.86 square foot/sheet.